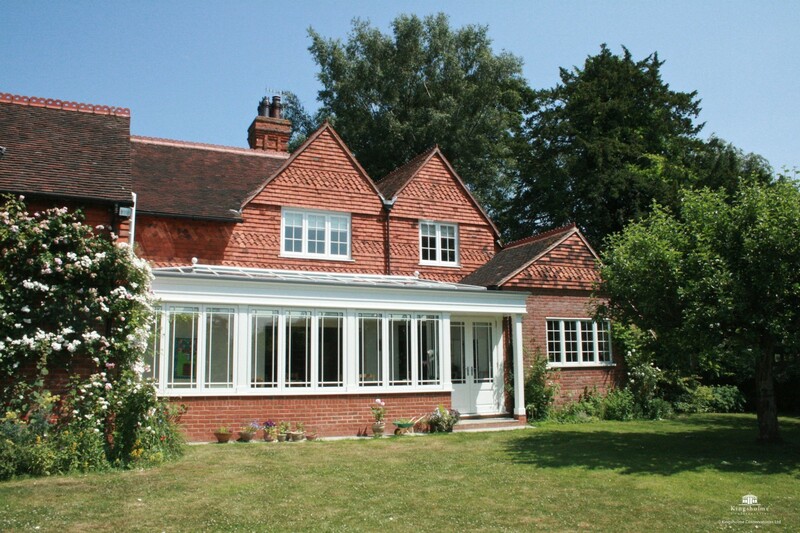 We are an independent company specialising in conservatories and orangeries manufactured in hardwood and aluminium. The vast majority of our designs are bespoke and vary from the traditional to the ultra modern. All of our conservatories and orangeries are built using high quality materials by experienced craftsmen. Each conservatory is tailored to the client’s requirements and design to complement the existing property. As a compact organisation we maintain personal contact with our customers and keep our overheads down, thereby providing excellent value for money and a professional service. We provide free, no-obligation, site-surveys where ideas are discussed and solutions suggested. If the job looks like a viable proposition for both the client and ourselves, we would then produce some initial drawings. In some cases these hit the mark straight off, in others we may need to go through several iterations to get the correct design. We use 3D CAD (Three-Dimensional Computer Aided Design) software which not only produces excellent visualisations of the end result, it is very easy to amend. Once we’ve set up the CAD model, we can experiment with different options. It is better for us to spend the time getting it right at the beginning so the completed job meets the client’s requirements. Normally sooner, but occasionally later, the ideal design is agreed upon, at which point we would issue a quotation. The expected reaction is for the client, upon receipt of the quotation, to say “amazing, when can you start?” Often the answer is dependent on Planning Permission, which is something we take care of and of which we have a great deal of experience. Our reputation has been earned by diligently carrying out and coordinating all works from start to finish, from digging the foundations, through to tiling the floor. Our experience and expertise covers a wide range of building disciplines. We regularly deal with piled foundations, structural steelwork, knock-throughs, tile/slate/lead roofs, underfloor heating etc.